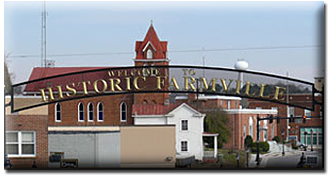 Located in Virginia's beautiful heartland in historic downtown Farmville, State Wide Realty Company knows Southside Virginia. Our agents are ready to find the perfect property to suit your needs, whether you are looking for your dream home or the ideal location for your business we can help. Our agents can also help find a desirable buyer for your property. State Wide Realty stands as the number one realtor in sales for Southside Virginia. Our listings include farm land, residential, commercial, building lots, water frontage, hunting, and timberland. If you don't find a property to suit amongst our online listings, contact us and one of our agents will work hard to find a property to fulfill your needs. Thinking of Building? Our affiliate Hearthside Homes can help you customize a plan that is just right for you and your needs.